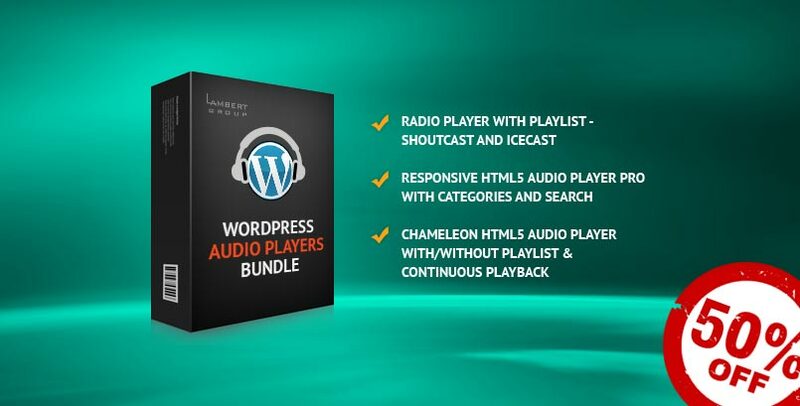 HTML5 Audio Players WP Bundle contains 3 WordPress plugins which cover a vast area of audio players, from a simple MP3 player to a complex ShoutCast/IceCast radio player. Very effective customer Support. Very happy with the product. Great product and amazing customer support. VERSION V 2.0 of PLAYLIST AUDIO PLAYER – WORDPRESS PLUGIN IS AVAILABLE.